According to documents filed with the Montana Board of Oil and Gas (BOGC), Energy Corporation of America appears to be planning to hydraulically fracture the Hunt Creek 1-H well in Belfry. Here is a photo of the BOGC database search result. You can find it yourself by clicking on the photo and searching under operator or the API number in the photo. The notice was filed on July 7, which means they can frack any time. The notice is an “intent to perforate.” Such a notice is filed when there is an intent to stimulate the shale formation using hydraulic fracturing. 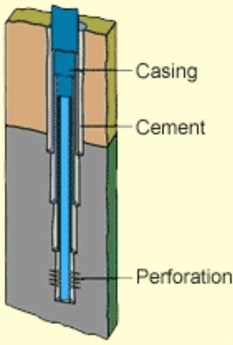 Before hydraulic fracturing can occur, the casing is perforated within the target zones that contain oil or gas, so that when the fracturing fluid is injected into the well it flows through the perforations into the target zones. This is typically done with explosives. When the explosives are detonated, holes are blasted through pipe, cement, and shale. Through these holes, fracturing fluid can flow into the shale. Fracking is typically completed in stages and during each successive stage, fracking fluid – large quantities of water mixed onsite with sand and other chemicals – is pumped into the well at high pressures to create and deepen fractures in the rock formation. According to local residents, there is a new large well head at the site. If there ever was a wake up call, this is it. It’s time for action. Previous post on the well, and history of activity. This entry was posted in Uncategorized and tagged Belfry well, Energy Corporation of America, Montana Board of Oil and Gas Conservation. Bookmark the permalink.